Zero Waste Scotland has announced a new fund to encourage Scottish fashion designers to develop their own closed-loop clothing. Financed in part by the Scottish government, the Circular Economy Textile and Apparel Grant Fund will debut in December in a bid to rein in textile waste using sustainable design, according to the Stirling-based nonprofit, which works with business, communities, and local authorities to reduce waste and boost recycling. Textile designers will be able to apply for grants of up to £5,000 ($7,850) each. 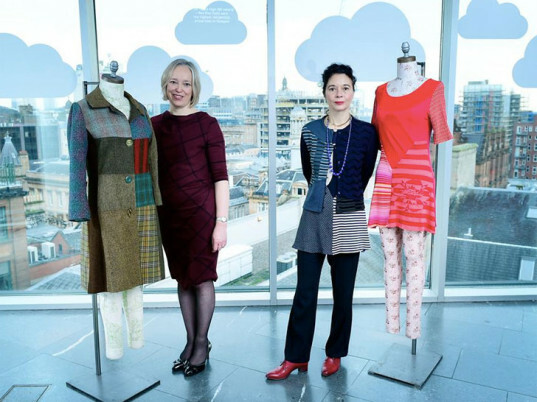 Successful applicants will also receive mentoring from industry experts such as From Somewhere’s Orsola de Castro—often dubbed the “Queen of Upcycling”—who helped ring in the scheme at the Scottish Textile Symposium in Glasgow Thursday morning. Zero Waste Scotland says the new fund will allow local talents to “lead the way” in waste reduction, whether through zero-waste techniques, adaptations for end-of-life disassembly, or the use of closed-loop, post-consumer recycled textiles. Zero Waste Scotland has announced a new fund to encourage Scottish fashion designers to develop their own closed-loop clothing. Financed in part by the Scottish government, the Circular Economy Textile and Apparel Grant Fund will debut in December in a bid to rein in textile waste using sustainable design, according to the Stirling-based nonprofit, which works with business, communities, and local authorities to reduce waste and boost recycling. Textile designers will be able to apply for grants of up to �5,000 ($7,850) each. Successful applicants will also receive mentoring from industry experts such as From Somewhere's Orsola de Castro�often dubbed the "Queen of Upcycling"�who helped ring in the scheme at the Scottish Textile Symposium in Glasgow Thursday morning.